The definitive mod to uncover previously hidden information. 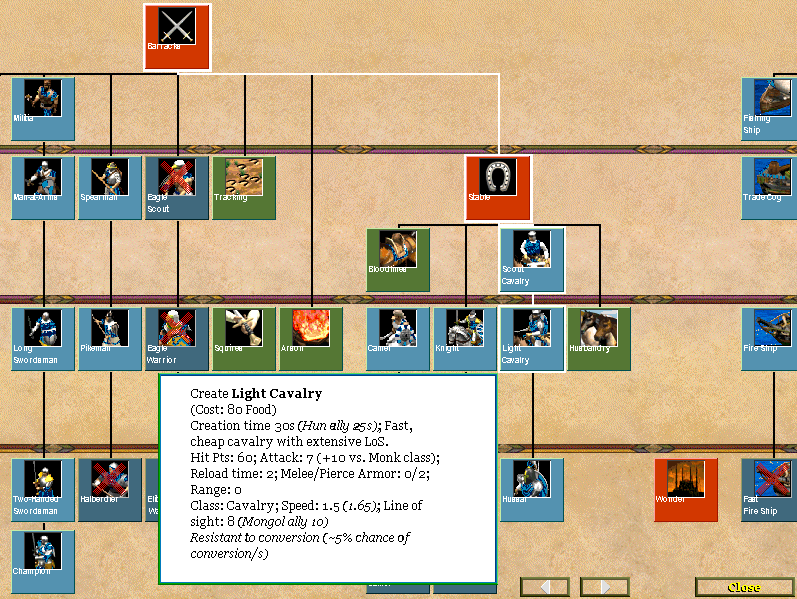 Tooltips and technology updated with all the details on units, buildings and technologies! It also fixes errors in the tech tree and other descriptions. More information on attack bonuses, reload speed, walking speed, and more! Works in-game and in the tech tree! Make sure Extended Help is On, by clicking F1 or this icon in-game. The numbers in brackets behind stats such as speed, attack, etc. are possible upgrades to this stat. 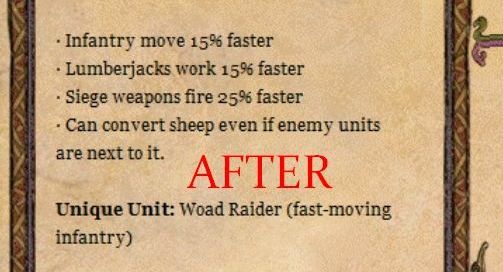 For example, on a militia "Speed: 0.9 (0.99)" shows that its speed can be upgraded (with the squires tech). Not written down in this manner are civ bonuses (apart from team bonuses) and blacksmith techs, to make the tooltips less dense. This mod is originally based on Philippe Le Bon's Pro Mod (http://www.voobly.com/gamemods/mod/438/Pro-Mod), with some corrections and format changes. Offline use: If you want to use this mod offline, go to the mod directory (<aoc installation folder>\Voobly Mods\AOC\Local Mods\Max Extended Help), copy language_x1_p1.dll and paste it directly in your aoc installation folder (best make a backup of the old language_x1_p1.dll file). This means the mod will always be active (online and offline), regardless of whether it's enabled in the mods list or not.